JLL has announced the appointment of former Silicon Valley leader Vinay Goel as its Chief Digital Product Officer, reinforcing the company’s position as the digital leader in corporate real estate. JLL created this new role to oversee delivery of innovative technology solutions to enhance clients’ business performance. Corporate real estate and workplaces are increasingly viewed as strategic drivers of business transformation and digital strategy. Goel’s appointment will ensure JLL clients have access to the best technology expertise and products in order to drive business transformation, integrate new technologies into their workplaces and use data-driven insights to derive new value from their real estate portfolios. Goel brings JLL a blue-chip Silicon Valley track record. He has helped usher in technologies that have transformed how we access, use and share information that powers how we live, work and play. He served in global product leadership roles at Google – including Google Maps, Google Apps, Google Station and other high-profile products during his 11-year tenure. Earlier in his career, he was Country Head of Products for Google India and held product development and management roles at companies including Oracle, Intel, CheckPoint Software and Silicon Valley startups. 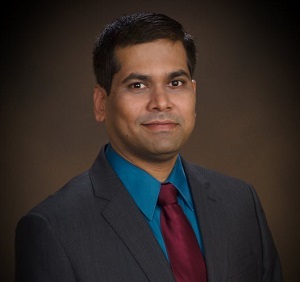 Goel graduated with a master’s degree in management from Northwestern University’s Kellogg Graduate School of Management and a bachelor’s degree in computer science from the University of California at Berkeley. Goel’s newly created executive role marks the latest move in JLL’s mission to transform the real estate industry through technology-based innovation. Last year, JLL brought on two Silicon Valley veterans to launch JLL Spark, a global division dedicated to identifying and delivering new technology-driven real estate service offerings. Recently, JLL Spark announced the creation of its $100 million Global Venture Fund for investment in companies innovating in proptech. Goel will collaborate with the JLL Spark team as well as the broader JLL organization in his role.